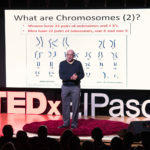 Despite the kaleidoscope of human diversity across the world, people have much more in common than you would think—when it comes to genetics. 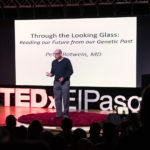 That was one topic that Peter Rotwein, M.D., vice president for research at Texas Tech University Health Sciences Center El Paso touched on as a guest speaker at TEDx El Paso, held Saturday, Oct. 13, at the El Paso Museum of Art. 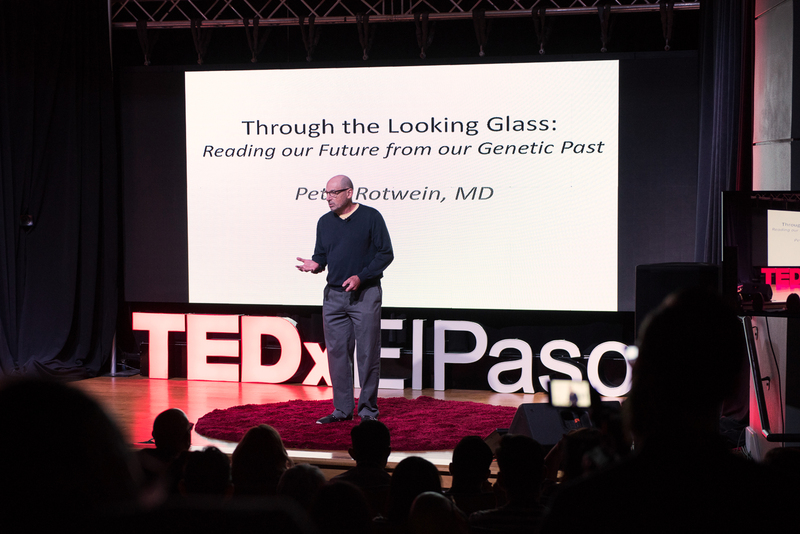 Peter Rotwein, M.D., vice president for research at Texas Tech University Health Sciences Center El Paso, was a guest speaker at the TEDx El Paso conference, Oct. 13 at the El Paso Museum of Art. 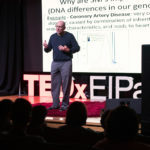 He discussed how the availability of more complete genetic information will lead to some challenging decisions for many people—such as finding out if your genetic makeup might predispose you to specific health problems in the future. 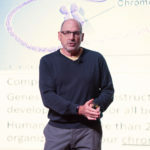 “If there were a DNA test that could predict your disease risks for the future, would you take it?” Rotwein asked the audience to ponder. 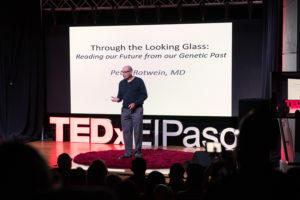 Rotwein is a physician-scientist with clinical training in internal medicine and endocrinology and metabolism. 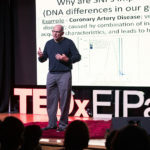 His research focuses on the mechanisms of action of growth factors in human growth and development, and more broadly on the genetic basis of human disease. 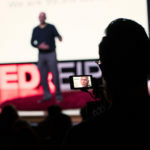 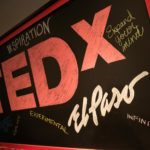 Rotwein’s presentation, and the presentations of the other seven speakers, will be posted on www.tedxelpaso.com in the coming weeks. 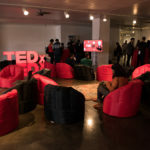 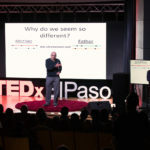 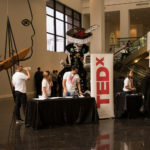 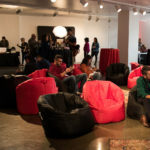 Peter Rotwein, M.D., vice president for research at Texas Tech University Health Sciences Center El Paso was a guest speaker at TEDx El Paso, Oct. 13 at the El Paso Museum of Art.